The latest concept art for Sonic The Hedgehog 4 Episode II has landed courtesy of those folks over at SEGA and the reveal is of two very specific “new” badniks. You see the first one, via the Sonic Facebook, shows new Badnik “Steelion” who as many have already said looks a tad like Rotor/Boomer considering not just the similar species but the chosen colouring. 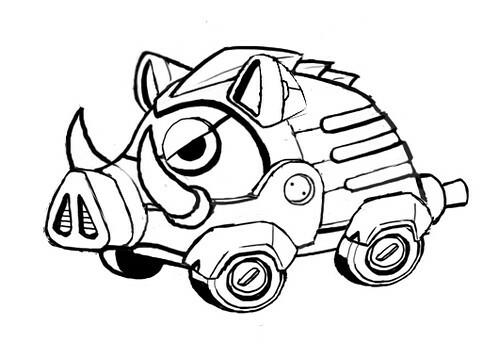 Secondly there’s this chap called “Fullboar” who sounds like someone from Killer Instinct and looks like Pumbaa from The Lion King on wheels. Well that’s something different, right? Well perhaps not as it happens, as this is by the looks of things another re-visited Badnik. 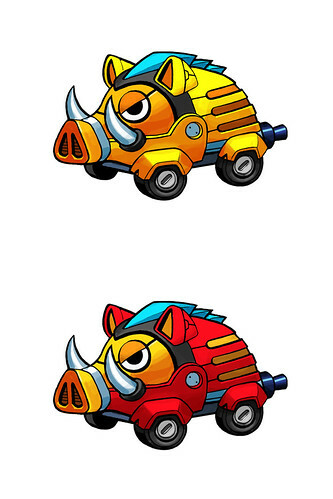 Fullboar looks suspiciously similar to “Inobuta Mecha”, (litterally Wild Boar Machine) who is the boss character from Gimmick Mt. Zone, the fifth stage of Sonic The Hedgehog 2 on 8-Bit systems.